Ava has come to London to participate in the tribute to her mother, the iconic ballerina Beatrice Duvall, who had died when she was a baby. It's painful for her because she won't dance after leaving the Royal Ballet School and all that had defined her. Returning to London for the tribute will allow her to learn more about the mother she never knew, as well as herself along the way. 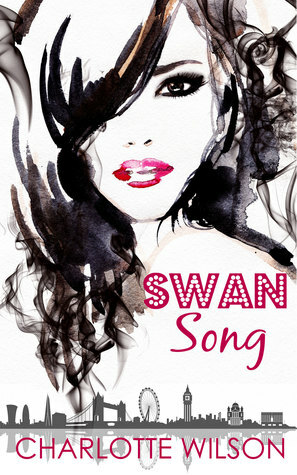 Swan Song opens with Ava arriving in London and waiting for Sebastian, who is to show her around. The story unfolds slowly but naturally because Ava is trying to grieve a woman she had never really known but had always lived in the shadow of. Trying to visit all the places that once held meaning for her mother, Ava doesn't feel any sense of connection or belonging. The flashes of familiarity come from reconnecting with her own memories of the past, and facing the kind of person that she wants to be. This is a great coming of age story within the dance and theater culture of London. Ava is very sympathetic, and we feel the same sense of pain and loss as she goes through the city and makes sense of her emotions in the context of the tribute. Some of the other characters around her don't get as clearly outlined since it's predominantly her point of view, which adds to the sense of loss that she carries. The ending of the book is hopeful and fits with what we know of everyone involved. I wouldn't be surprised if this is the opener for a series of books because Ava and Sebastian are definitely interesting enough to follow through their chosen fields.